Many species occupy highly specialized niches in their respective ecosystems and provide vital roles in the ever turning circle of life. Out of the millions of species on the planet, some are more important than others. Although to some it might seem anathema to pick out the most vital species, there can be no doubt that some are "pulling their weight" more than others. These 11 are prime examples and, if they were lost, the continuation of life on Earth might just be impossible. Bees have changed very little over the last 100 million years or so since they first evolved. Since that time, they have become integral to a healthy and thriving ecosystem. Their co-evolution as pollinating insects is vitally important to the life cycles of some plant species. This has been a peaceful and mutually beneficial semi-symbiotic relationship for eons, but modern use of pesticides threaten this incredibly important relationship. It is estimated that around 70% of the crops we eat rely on the interplay of plant and bee. Bees have been hit hard of late and their extinction would be a critical blow to the healthy continuation of the ecosystem at large. Their loss would be tragic but perhaps we could create alternatives. Generation of oxygen is far greater from the Earth's oceans than the puny contributions of forests on land with phytoplankton producing around 2/3 of the world's atmospheric oxygen. They also form a vital role as the foundation of the food chain. It cannot be understated just how important these micro-organisms are to live on Earth. Without them, the amount of free oxygen in the atmosphere would be considerably lower making it very uncomfortable indeed to live on our planet. Some research indicates phytoplankton populations are taking a hit in recent years. If a significant amount of the population is lost from pollution and rising sea temperatures it could have serious consequences for animals around the globe. But phytoplankton can be a double-edged sword (see Cyanobacteria further down the list). Fungi come in many shapes and sizes. Some will rot our food, others provide us with penicillin and yet others taste great on a plate. Put simply, without the wide variety of fungi the world over life on Earth would quickly run into serious trouble. Fungal species provide vital roles in releasing nutrients back into the food chain when plants and animals die. They are, in effect, the world's recyclers. Yet despite this many species are facing extinction from pollution and agricultural activities. Menhaden might look unimpressive at first glance but these little fish are vitally important as a food source for many animals further up the food chain. But they also need to eat. Their food of choice is to filter feed on oceanic algae, this provides a fantastic control on algal populations and prevent algal blooms from nutrient-rich runoffs from farms into coastal waters. They are currently suffering from overfishing - a practice that threatens to damage the "liver of a bay" irreparably. Bats occupy a vital niche in the ecosystem by providing an essential 'service' - insect regulation. Their bug-munching habits help keep crops like Bananas, Mangoes, Dates and, even Tequila, thriving. Some species also provide vital pollination strategies for some plants. Bats activities can be translated into literally millions of dollar savings in the use of pesticides. They also tend to be a good indicator of a healthy ecosystem. Some species of them are currently threatened and many local authorities around the world now protect them. Loss of habitat from building works, wind turbines, and other manmade hazards are putting some pressure on global populations. Earthworms provide a critically important role for the Earth's biosphere. Their busy lives are spent aerating the soil and enriching it with much-needed organics and minerals from their excrement. They, in fact, the unsung heroes of the garden and the world at large. But Earthworms are coming under serious threat from the excessive use of manure and ever acidifying soils. Lower pH soils appear to have serious impacts on the earthworm's ability to reproduce. Cyanobacteria, like many other microscopic organisms, can be found in all conceivable habitats around the world. Think of somewhere, and you can bet you'll find some form of cyanobacteria there. They provide various functions for ecosystems from anoxygenic photosynthesis to, most importantly, nitrogen-fixing (diazotrophic) activities. Some species also provide vital roles under the umbrella term phytoplankton. Cyanobacteria, unlike others on the list, need to be saved from themselves. Blooms in cyanobacteria from the release of fertilizers into waterways can cause serious deoxygenation and devastation of affected ecosystems. Coral reefs are both incredibly beautiful structures but also provide vital roles in the local ecosystems. Reefs provide sheltered lagoons behind them and act as a foundation for complex food webs. Changes in sea level and temperatures the world over are threatening the future of many coral reefs the world over. Sharks, as fear-inducing they might be, play vital roles in the ocean. Primarily, as apex predators, they help maintain other species populations. Various environmental and man-made activities have been damaging their populations for decades. Springtails, like fungi, help recycle nutrients from the dead to living. Some estimates indicate they may be responsible for as much as 20% of leaf litter decomposition. If global temperatures rise high enough it could, potentially, threaten springtail populations. And last but by no means least we have ants. These militarised bugs like earthworms, provide vital recycling activities in ecosystems around the world. They are also directly predated upon and are an inspiration for development in AI. 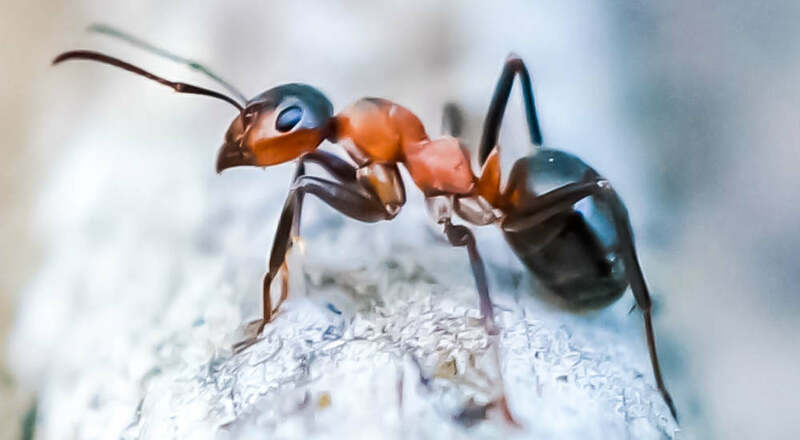 Rising global temperatures could have serious effects on ant populations the world over.